Recently I did a Facebook Live on a phenomenon I see WAY too often: manic manifesting. People tell me all the time that they’ve been obsessing over the outcome of some situation. I hear it from my readers, my audience members and my friends. I’ve done it too! We all get entangled in manic manifesting sometimes. Freaking out over an outcome is very common and can be pretty sneaky. But this needy energy doesn’t serve us, and it gets in the way of real manifesting. It keeps you from co-creating with the Universe. To help you stop manic manifesting, I’m going to share a lesson from The Universe Has Your Back. It will help you release outcomes and release the need to control. If you want to watch this lesson in the video of my Facebook Live session, just press play on the video below. Or just keep reading! We all get caught up in that ego manifesting routine. It’s to be expected. I want to call it out now so that you can be mindful of it and gently guide yourself back to truth whenever you get caught in the obsession over the “how” and “when” things will manifest. Instead of obsessing about the outcome, focus on how you want to feel. The way to get your needy and controlling vibe out of the way is to stop praying for what you think you need and instead pray for the highest good for all. Whenever you pray for the highest good, you get your agenda out of the way. You surrender into the Universe’s plan and release your own. Remember that the Universe doesn’t respond to manipulation — the Universe responds to love. We have to think about our practice of manifesting and co-creating with the Universe as a collaboration, not a demand. It’s not a checklist of what you want and think you need. It’s a collaborative energy. When we align with an energy of joy, inspiration, excitement and enthusiasm, that is manifesting. When you are in that space, it doesn’t matter if that specific thing you desire is with you in this moment. What matters is that you’re in the joy already. Aligning with that presence of joy NOW gives you the momentum to attract more of its likeness. That is the key to manifesting. Often what I see with many spiritual folks is that they start to get manipulative. You might think: If I meditate enough, pray enough, talk about what I want enough, create a vision board, if I do enough spiritual work, then anything I want will just come to me. Manifesting isn’t about getting. It’s about being. But, truly, it’s not about getting and making. It’s about BEING. It’s about being in the experience, expression and energy of the love and joy within you. That is what The Universe Has Your Back is about. It’s about how to get back into alignment with that sense of certainty and joy that we all have access to and that is our birthright. When we have that presence of faith in our life, we can detach from the outcome, stop manic manifesting and trust in the Universe. There are lots of different ways that we manic manifest. Let’s check out some questions and examples that came up during the Facebook Live event. Q: If I’m wishing for my love to enter my life, I need to focus on manifesting love and not on the hope that the really cute guy next door will be the one? Yes! If you focus on thinking he’s it, he’s got to be the one, you are manic manifesting. You’re trying to control the outcome. Those specific demands are actually getting in the way of true manifesting and blocking you from a relationship that could be far greater than what you’re fixated on! Instead, start focusing on what it FEELS like to be on the presence of joy and love. One way to do that is to focus on the love that’s already in your life — like the love in your friendships, the love in your family and the love in your creative work. Focusing your attention and energy on the love that’s already thriving in your life helps you feel that presence. The excitement and enthusiasm that result make you a magnet for more of that energy. Remember, while it’s important to be clear about what you want, it’s MORE important to be clear about how you want to feel. Q: How about making a job decision? I prayed and asked for signs, I asked others for prayer, and I can’t see the answer. This is another instance of manic manifesting. Sometimes we get so hooked into thinking we need to get the answer right now, and we’re interfering. The best thing to do here is just step back. Take your hands off the wheel, pray for the highest good for all, and turn it over. Chapter 5 of The Universe Has Your Back is especially helpful in identifying manic manifesting and healing our need to control! Q: Why does it feel like while I’m working toward being present, I’m being sent a lot of tests by the Universe to see if I really am? The obstacles that happen in our life are detours in the right direction. If a lot of obstacles show up for you, that’s beautiful guidance from the Universe, sending you in the right direction. In those moments of discomfort, be curious about what kind of guidance you’re receiving. What you think you need is often in the way of what’s of the highest good for you. If you’re feeling like there are a lot of assignments being presented to you (there’s a whole chapter in the book about Universal assignments), you need to show up for them — or they’ll just keep coming up. The secret to manifesting is letting go and trusting. The key to my successes, particularly in the past year, in my marriage, my friendships and my career, has come from my willingness to let go. I’ve been proactively practicing the principles in The Universe Has Your Back. Every day I surrender and I turn over my desires. Living these practices has given me so much more than I can imagine. Doing the practices in this book proactively and having them in your back pocket helps them become second nature. As you use them more frequently, the easier it is to get back into alignment. All of this is really very simple: It’s about getting into alignment with the presence of love. 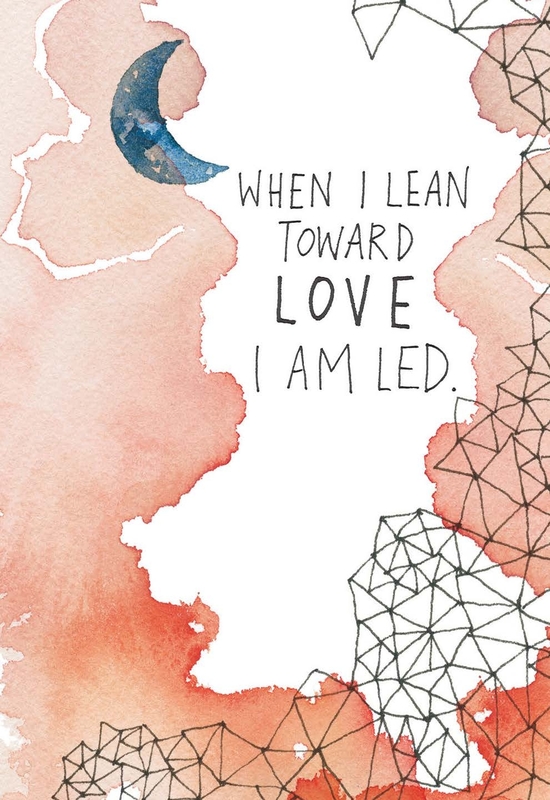 That’s when we are letting ourselves be led and guided by the Universe. For a simple way to do this, mark spots in the book that have prayers and each morning, open up to one and say that prayer. It’s a magnificent way to align with the Universe from the moment you wake up. It’s a lot simpler than we make it, my friends. 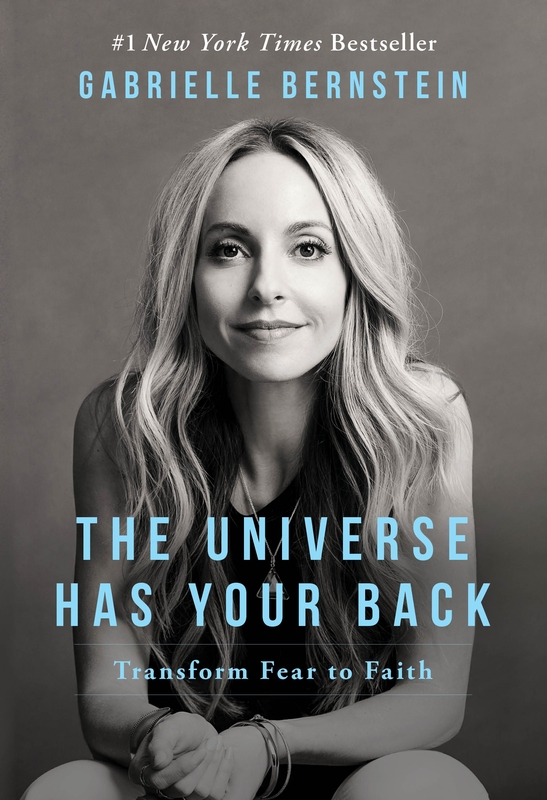 If you don’t yet have The Universe Has Your Back, grab it now! Stop manic manifesting and start co-creating! love this, Eliza. Thank you for sharing! I am manic manifesting. I get my sign often within 2 hours but no movement towards my right path. I want to trust in the signs but am afraid to trust it completely. I believe the path is right but am nervous. I have blocks to work through, I guess. Is your sign always the right path? you’re doing amazing, Maria. you’re so aware! We all have blocks and trusting the Universe takes practice, practice, practice! Yes, I am very aware but often doubt myself when I shouldn’t! I’m very aware because I’ve educated myself from your books and talks, I soak it in and try to practise the best I can. I have read TUHYB twice and have given it to my friends in need. I’m trying to live my best life! Amazing book! Will wait for your newest one in January! When you are writing books and planning your talks, please know that you are helping one mind at a time gain some peace which is more valuable than any monetary asset one can accumulate! Continued success! Thank you for any answearing my comment!! I’m truly grateful ☺️ And wished you would comment! Ha ha! Namaste. Yes if the signs feel positive then try to trust it follow that path. This is the most magnificent and soul resonating thing I have ever read on the topic. I’ve been pondering how to set goals and manifest for years! Making a list of things always seemed so stressful and limiting, and focusing on feeling (both yours and the greater goods) is so much more liberating and fun! I was just speaking about this with a girlfriend on Saturday. Quite a sign. Thank you so much. Brilliant. I’m so glad it served you. Thank you for sharing! Thank you for this, Gabby! What a wonderful message and a great reminder to manifest the FEELINGS you’re trying to achieve. And, sometimes we just need to get out of our own way! I just finished the audiobook of The Universe Has Your Back and I actually cried at the end. So many “miracles” were shown to me with the words you spoke that gave me faith in the Universe. I do manic manifest and was particularly interested in the surrender section, how fitting I opened up this email right after I completed the book. Thank you for your love and light. I really needed this today, Gabby, thank you! I read your book and loved it, and lately I have been manically manifesting and didn’t know how to stop! I am so glad now I can shift (with your suggestions). Love this Gabby! Words of wisdom for sure. Would you say in consistency lies the key? We all know it’s okay to feel down, we’re human. But it’s when that becomes who you are…that’ when life stays stuck or just experiencing the same things over and over. absolutely. we need to be gentle with ourselves. Gabby I am new to your blog, but an avid spiritual “junkie”! Me and my friends are starting a new book club and I’m wondering should we start with this book or your others? What other authors do you recommend besides yourself? I know you mentioned ” a course in miracles ” as one of your favorites… thank you! Yes! The Universe Has Your Back is a great place to start! Love the last part, about the universe and showing up for your lessons. Such great advice. Love and tolerance is our code. Manifesting mindfulness is our mode. I love this, thank you so much for this. I love the book thank you for writing it. I love the Manifesting Workshop. Thank you for everything. Love you. Oh my GOSH, your marketing is amaze. I’m happy you’re carrying a positive message with it – bc it is absolutely killer. Truly inspiring. Thank’s for this gentle reminder. I downloaded (audible) your ‘the universe has your back’ book in December 2016, listened to it, got loads out of it but then kinda forgot everything (as you do!). This was a great prompt to re-listen and chill out! To be honest being connected with God’s alignment we can feel peace, Joy and God’s mercy grace upon us we release our need to manic menfest negative things the devil will try to mess with that. when I prayed about my life and situation I got a gut feeling that it wasn’t right to continue with the person who let me down before and possibly was going to use me when it suits him wasn’t worth chasing just to feel loved by a person I needed to seek love through God I started connecting with God with daily prayers meditation and Bible reading gratitude Journal everyday and I felt more happier within myself than before. I continued to show up to all Universal obstacles assignments since I was 10 each one has been intense situation someone​ died by suicide or cancer my father nearly died 3 times because of cancer and doctors failed to do their job correctly in New Zealand I still confronted my fear loss reaching out to God for support through it I was not alone. I even started doing gratitude Journal everyday and miracle morning routine. I’m totally manic manifesting more and more now! Last year I moved immensely into my feminine ; of surrender, Trust and ease, receiving, the Yin. So now I felt it’s time for cultivating the “masculine” within me; pushing a little bit more, knowing the clear goal, direction, with confidence. One of my goals is making 100 k dollars by the end of the year. I set this goal very recently. I still am not making anything at all and that is stressing me out. That worked very well because in a year I feel these things so much more on a regular basis which is awesome! It’s like short-circuiting, the feeling is what we truly want anyway, right! So anyway, I really feel that I am in need of making money now. Would you recommend just surrendering. Getting out of the way? Thinking & writing about the reasons why I need that money and how I will use it for the greater good of all? And not having that specific 100 k goal? What’s your take on this? Sebastian, my friend, surrender is the name of the game. When you open up to a practice of surrender and deepen your relationship to the Universe, you will know whether your goals are divinely supported or coming from your ego. Remember that we do not “make” things happen – we receive miracles and manifest. Check out my Super Soul Sessions talk on the 5 steps to spiritual surrender and start your practice. Expect miracles.